Big Agnes Skyline UL Stool. 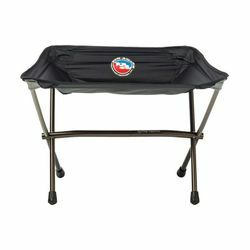 For minimalist packers who want to roll extra light, the Skyline UL Stool offers a comfy seat wherever you go. It's simple and quick to set up and easy to fit in your bag or pack. This 1lb. stool is big on the comfort that you'll really appreciate when you're not sitting in the dirt.